Sylmar Shines Again: Our Cheer Squad Earned First Place at Regionals! With hard work and dedication, our thirteen athletes hit the mat determined to bring home First Place at Regionals! It was not an easy journey, but with a common goal in mind and that indomitable Spartan spirt, they rightfully earned Sylmar Charter High School's first Competitive Cheer victory! Congratulations to the 2019 Competitive Cheer team: Alexia Nungaray, Amanda Escalera, Amy Morales, Ariana Velasquez, Claudia Ordonez, Emma Ayon, Genesis Ayon, Jeanette Garcia, Katia Rojas, Matthew Trujillo, Nevaeh Menendez, Stephanie Rodriguez, and Thalia Lopez! Next up... City Championships April 27th at Birmingham Charter High School! Click on the headline for photos! A Brand New Attendance Incentive Program: Yogurtland Certificates! In an effort to promote great student attendance, here is another opportunity for our Spartan Scholars! Scholars who attend school on both Friday, April 12th and return after Spring Recess on Monday, April 22nd will be entered into a drawing to win a Yogurtland Certificate good for five ounces of free yogurt and toppings! Winners will be informed on Tuesday, April 23rd. We appreciate our exceptional PSA Counselor, Ms. Ellen Hiller, for coordinating this wonderful new program! Our College Fair will be taking place on Friday, April 26, 2019. Hope to see you there! This is a wonderful opportunity to explore endless possibilities! There will be various schools and community agencies present. We have some great workshops planned for the students. Click on the headline for a complete list of the workshops. Sylmar Shines Again: Mayor Garcetti Recognized Two Spartans as WiSTEM Scholars! Two of our Spartan Scholars, Alondra Pureco and Guadalupe Marroquin, were recognized by Mayor Garcetti on April 1st at LA City Hall as WiSTEM Scholars! Only forty eight girls in the entire LA county were recognized! Alondra and Guadalupe had the opportunity to receive a scholarship and a certificate of recognition for committing to pursue a STEM-related career. They also had the opportunity to meet representatives from prestigious companies, such as Boeing, Biocom, and Ozobot. In addition, they met Danica McKellar (mathematics writer, education advocate, and formerly an actress on the Wonder Years TV show), as well as many other STEM professionals! Click on the headline to access more details and photographs! Our Girls Build Club Is Making History! 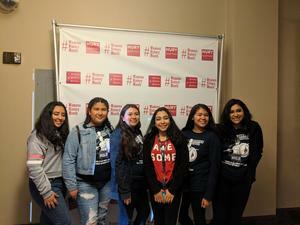 The Girls Build Club members have been super involved in various events these past few weeks and I would like to highlight our members, plus promote our upcoming "Student Empowerment Conference"! Ms. Delgado and I are currently the club advisors for this year and we have been promoting our club and engaging our students in skill building and personal development events. Click on the headline to access more details and photos! Here Is Our SBAC Testing Schedule for Our Eleventh Grade Spartan Scholars!! CAST Testing for All 11th Grade Spartan Scholars on April 10 and 11, 2019! Hey Seniors! Contribute Your Own Pictures to the 2019 Yearbook! We are especially in need of photos from/of any Senior-Night events (Mountasia, Ice Skating, Sky High, etc. ), Valentines Day, BFFS, Dynamic Duos, Trios and groups (of friends)! 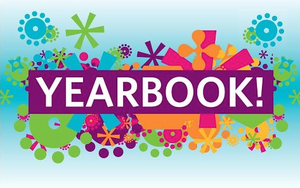 Get the YEARBOOK SNAP app, or use the ‘Community Upload’ feature under the Yearbook link on our web site, or click here https://wpcgo.yearbookforever.com/MgMfZ (Access Code: spartans2019). Why Choose Sylmar Charter High School? If you are a student, consider joining Spartan Nation, where our dedicated teachers will challenge you to be the best you can be. Our vision for you extends well beyond the four years of high school. In fact, we are just as concerned about the grades you earn today as the decisions you will make tomorrow. 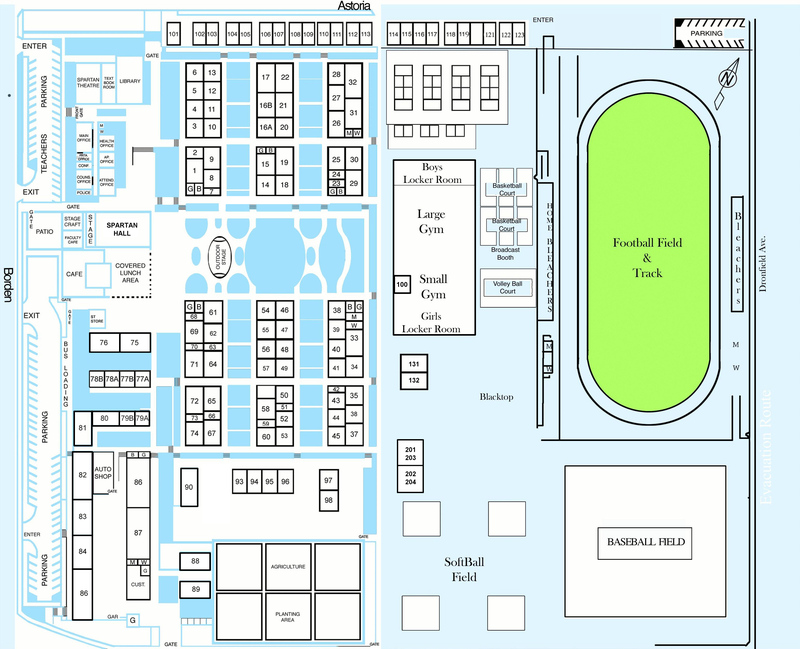 If your curiosity is piqued after perusing our web site, please stop by to visit our campus. Come see first-hand the vibrancy of a school culture that is built upon our dynamic tradition and a desire to offer a personalized education to each and every Spartan Scholar! Click on the headline to access our brand new flyers! Sylmar Charter High Shines Again! In 2017 and 2018, We Earned a Silver Medal from U.S. News & World Report! The U.S. News & World Report has released its annual ranking of the best public high schools in the United States. These rankings include data on more than 20,500 public high schools in fifty states and the District of Columbia. Schools were awarded gold, silver or bronze medals based on their performance on state assessments and how well they prepare students for college. Sylmar Charter High earned a silver medal in 2017 and 2018!